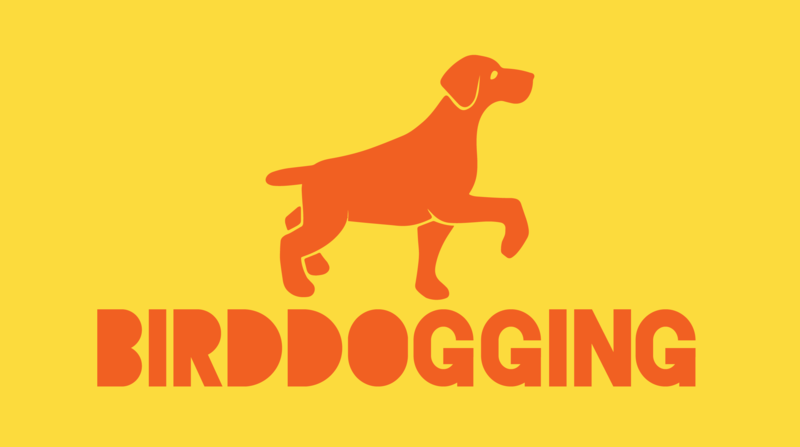 Birddogging is a tool used in organizing to get a candidate or representative of an organization “on the record” about an issue. This tactic can often be the fastest and most effective approach for getting someone to make a public statement. Here are a few tips for making the most of it! Be in the candidate’s path. This is especially important if the candidate is very popular, leading in the polls, or if it is late in the primary season. If there is a question-and-answer session you’ll want to be close enough for the candidate to see you and call on you. Be forewarned: Campaign schedules change quickly, and rarely do candidates arrive on time for an event, so build in some extra time. Have your question ready. Make sure your question is brief, fact-based and direct. Practice asking your question to yourself and with family or friends until you can do it without notes and in your regular cadence. It’s good to have a second question ready, in case someone asks yours before you have a chance to. Be calm and reasonable. Maintaining a respectful tone will get a more positive response from the candidate, their staff and the news media. People who are angry, sarcastic, or emotional will be ignored. You can even start your question by praising something the candidate has just said in her or his prepared remarks (ex: Senator, I really appreciate your call for a strong national defense. A group of military experts believes wasteful Pentagon spending actually weakens our defense…). But be ready to stand your ground. If you know that the candidate has a strong pro-military stance, the aide may try and take the mic from you. Hold on, and continue your question until it is complete and you feel the candidate has properly addressed it. Bring other people with you. Since bird-dogging can make some people nervous, it is good to go in teams of two or more people. Not standing together will also improve the odds that more than one of you will get to ask the question. 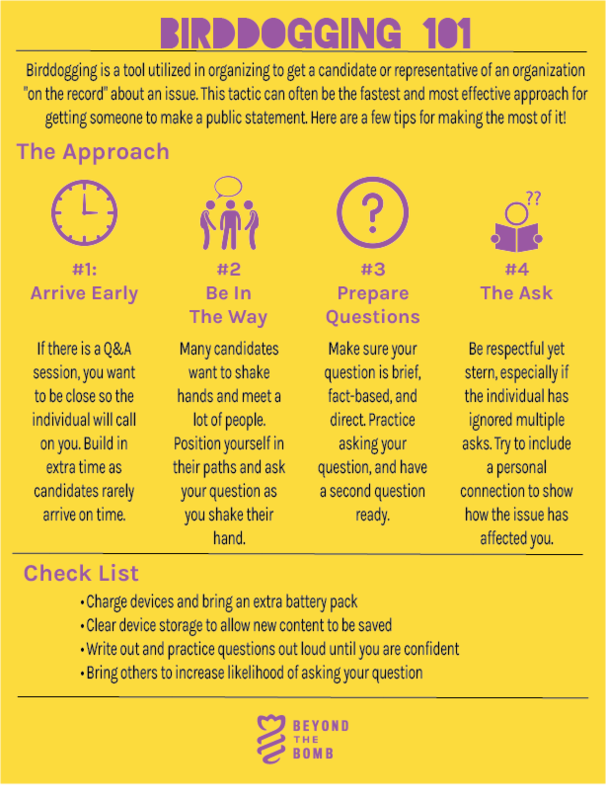 Be prepared to back each other up or ask a follow up question if you feel the candidate dodged your question or if you want more details. Having someone else with you means you have a videographer, make sure you capture the questions asked on FB Live or with a traditional video. That way, we have the candidate on record for their answers. Take notes. The only way to track the responses of candidates is to have a record of what they said. It is also helpful to have notes if you are trying to frame a follow-up question. If you have a friend with you, each of you can write down the response to the other’s question. Have you already bird dogged your official? Let us know how it went here!